As a wedding photographer (and a girl with some lofty dreams for her own wedding someday), I know how important your big day is. Once you’re engaged, there are hundreds of decisions to make –who will your bridesmaids be? Live band or a DJ? Should you do a first look before walking down the aisle? Fear not! I’ve outlined some pros and cons to having a first look below. A first look allows couples to enjoy an intimate moment together before taking part in the ceremony. Brides always tell me that their wedding day went by so quickly. Having a first look gives you and your fiancé another special moment before saying “I do.” Making at least two big moments for the day! When all eyes are on you, it’s challenging to react the way you normally would. Doing a first look ahead of time allows for more genuine reactions and time to be yourself with each other. I’m sure this news will come as no surprise, but you might feel nervous and/or stressed on your wedding day. By participating in a first look, you’ll be able to calm your nerves before the ceremony; especially because you’ll no longer have to wonder how your partner will react. Seeing your future spouse before the vows can help you strut a little more confidently down the aisle. Your wedding will be the largest party you’ve ever thrown. However, that also means that you and your partner are the hosts. A first look can provide you with some alone time before everyone is vying for your attention. Going off of the aforementioned point, with a huge chunk of photos out of the way, you can actually spend time with your guests. Doing a first look frees up time during the reception so that you can throw back a celebratory cocktail with your loved ones! 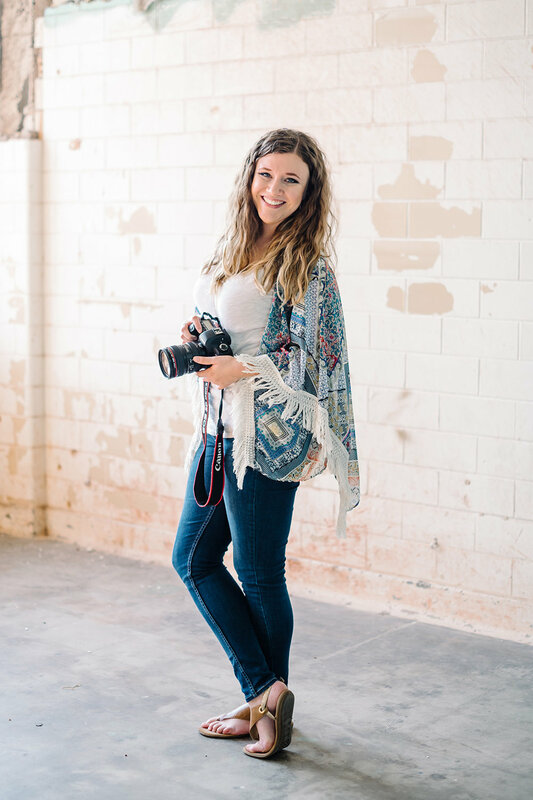 You’re hiring a photographer to capture your wedding day, but the bride and the groom are the main attraction! I like taking pictures of couples during the first look as well as after the ceremony because each time reveals a different set of emotion. Overall, you’ll have a more diverse set of photos together if you opt for a first look. Did you know? The superstition of seeing each other before the wedding comes from arranged marriages, “people believed that if the couple saw each other before the ceremony, it would give them a chance to change their minds about the wedding.” (CNN) I think it’s safe to say that that superstition is a little outdated. Some brides might feel like a first look decreases the amount of excitement leading up to her grand entrance down the aisle. Seeing your partner for the first time during the wedding ceremony is undoubtedly both beautiful and sacred. 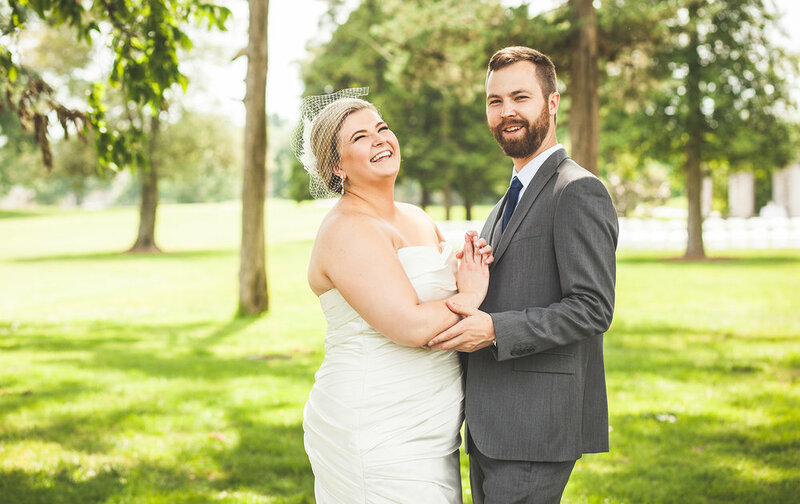 If you’re struggling with this issue, here are some brides who talk about their experiences with and without a first look. 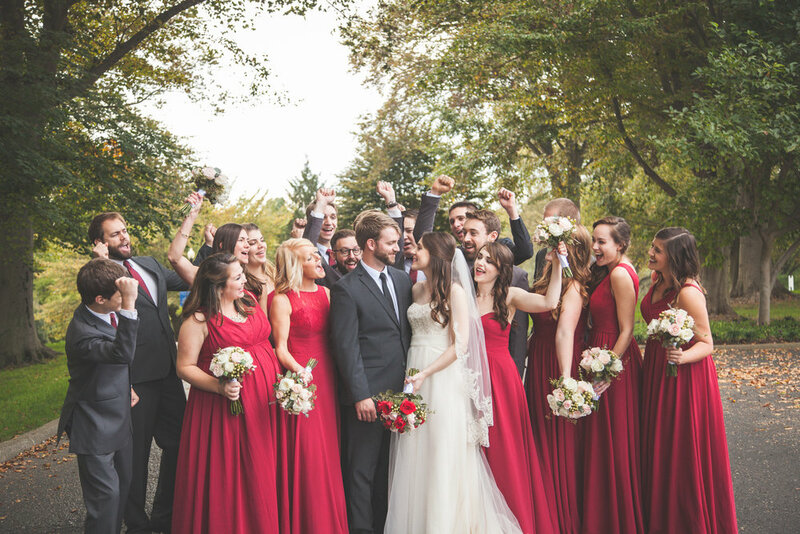 In order to get first look photos, you, your fiancé and the rest of the bridal party should be photo-ready at least 2 hours prior to the ceremony. The silver lining is that you’ll have time to adjust anything that isn’t working before the wedding. Ultimately, my preference is to do a first look, but I certainly respect the decision to skip it. I have no doubt that, regardless of your choice, the photos will turn out beautifully. If you’re interested in exploring some sample wedding day itineraries, please check out my guide here.